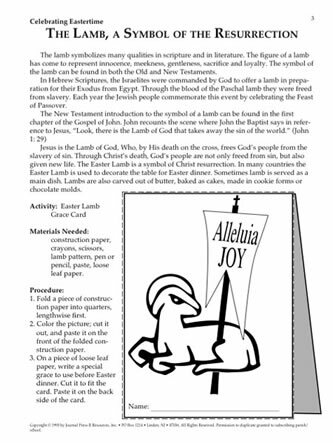 Celebrating Eastertime is a Master Set designed to help people come to a greater awareness of the Church, the Resurrection. The prayers, activities, crafts, projects, puzzles and dramas included in Celebrating Eastertime highlight the joy of the season of Easter. The customs and traditional practices used in making Easter a special time are ideal for communicating the meaning of change, renewal, new life in nature, and our new life in Christ. 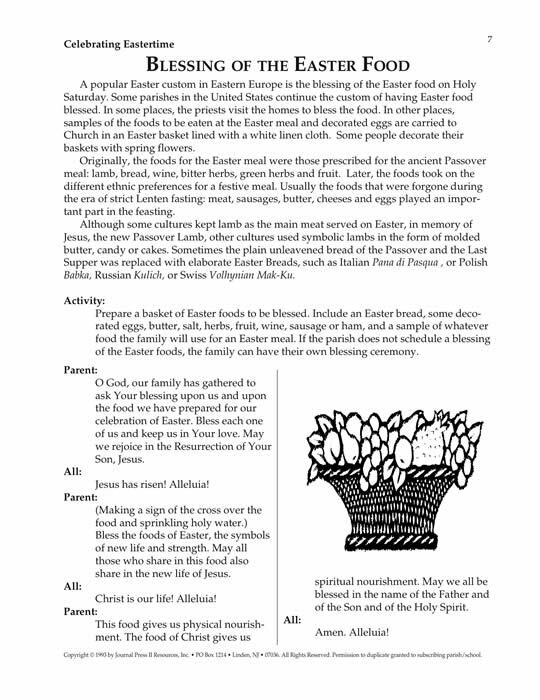 Celebrating Eastertime includes materials that serve in extending the celebration of the Feast of the Resurrection from Easter Sunday to the Feast of Pentecost. 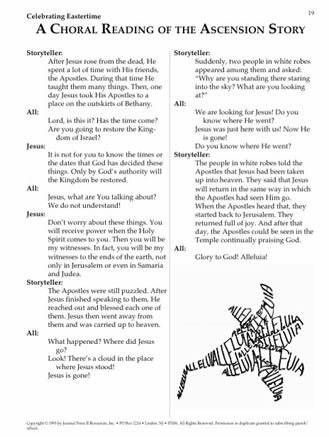 ¥ Ideas for Easter, the Ascension, and Pentecost. The New Life Pin (shown at top right) information is available by clicking. 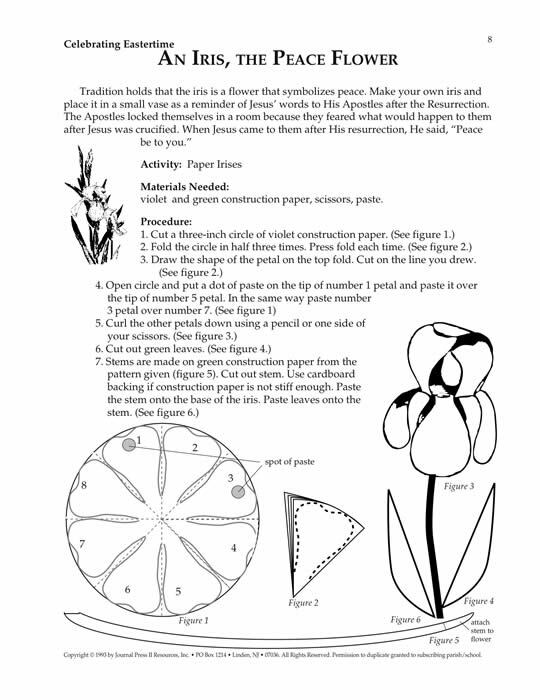 Your purchase (below) will enable the placement of the Celebrating EAstertimeMasterSet PDF on your computer. You will receive an e-mail to enable your immediate download for the set.